Talking to marketers, entrepreneurs and social media people I often hear things like „this does not work,“ „you should not do that“ and „doing that is bad.“ And most of the time I think these people are awfully wrong, because what they say is: „I have no clue how to do this right.“ And by not admitting this and claiming the reason for their failure is that something is wrong or does not work, they miss the chance of getting it right. Often some simple changes in their activity, some little tweaks or a new approach would save them a lot of frustration and instead open entirely new doors to success. When influencers and experts write their content about Online Marketing, what they write often sounds so straight forward in their articles. It may easily lead to the misunderstanding that you only need to follow the given example and if it does not work as promised the method must be broken, out-dated or just not work for you. That is wrong and making this assumption leads to loosing out! When influencers write about Online Marketing, it all sounds so straightforward. Let me give you some examples of complaints and statements about seemingly broken online marketing concepts that are essentially wrong. I hear this kind of statements over and over again and hopefully, at least, some of the people making them will rethink their attitude towards marketing. A few sentences later they claim that Twitter is more for news and not so much for businesses. And the truth is, Twitter does not work for them because they have no clue how to get it right to achieve something with it. I have heard this statement in many forms and wordings, and it is always wrong. There may be some people who are successful in other networks and decide not to focus on Twitter. That is totally ok; you do not need to use every network there is. But the truth about Twitter is that there is almost no niche which is not active on Twitter and where your will not be able to connect to tons of people from your target group. Plus Twitter can successfully be used by anyone without a large budget – simply by understanding the mechanisms and process that make Twitter work. Well, most of them do not say it in exactly these words. But I hear this quite often. And there are two things behind it: Either people get a lot of badly done automated sales messages thrown at them and do fear to fall into the same trap. Or they have tried automation without the right idea and concept and not gotten anything out of it. Only last week Jonathan wrote an article about automated direct messages (DM) on Twitter and reactions started to flood in that nobody should use automated DM at all. To be honest, automated DM have been one of our most successful and profitable marketing channels ever since we started growing Twitter accounts. When we were still building our publishing platform, we needed people to sign up and publish articles. Simply inviting new followers on Twitter to publish their business content on the platform, was a tremendously successful marketing strategy. The truth is, tons of people use marketing automation for their social channels. With a certain account size, you have exactly two choices: Either use automation or hire a social media manager – or (not really a third option) do none of the two and miss out all the nice success a large social audience could give you. There is a lot more marketing automation can do for you than automated direct messages and done right it offers a huge opportunity. Have you heard this? I have. Millions of times. And it is true for the people looking for the easy way out. If you are going for buying a list of email addresses and spamming this list with tons of promotional messages this is true: This kind of Email marketing is very dead – has it ever been alive? But there is a reason so many marketing influencers give tons and tons of advice on how to build your email subscriber list and how best to use them. It’s because your audience in the form of email subscribers is the real marketing gold and it is up to you what you make of it. Nobody will force you to use a newsletter signup form for your blog or tell you which form you should use. Ou may even want to try something else instead of a signup form: Maybe a little ad for your new book or a conference you are organizing. It is up to you how to use the content for your purposes. And a light box or sign up form is one way to do it. You may be surprised how many of your readers would like to sign up for your newsletter or get a special offer and not be offended at all to see a form they can use on your blog. It is up to you to figure out the optimal way to get people to sign up and turn them into a loyal audience. It is hard to know what to do and how to do it when you are new and just finding your way around social media. Plus it can all be very overwhelming: Too much information, too many options, and too much new stuff to understand. We have been in the same situation. We tried many things, failed at some. 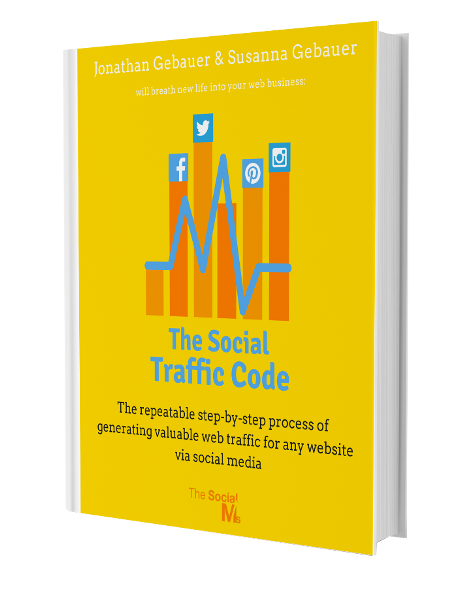 But we also figured out a proven process for free social media traffic that works in any niche. There are tons of examples like this and what they all tell is: Most of the time it is not that a method or concept does not work at all. It is that it does not work in the way it is used and that someone has not figured out how a certain marketing method can work for his/her special case (yet). And there is nothing wrong with that. If online marketing would only be following a recipe and press a button, everybody would successfully be doing it. It is much more complicated and needs some effort to get it right. 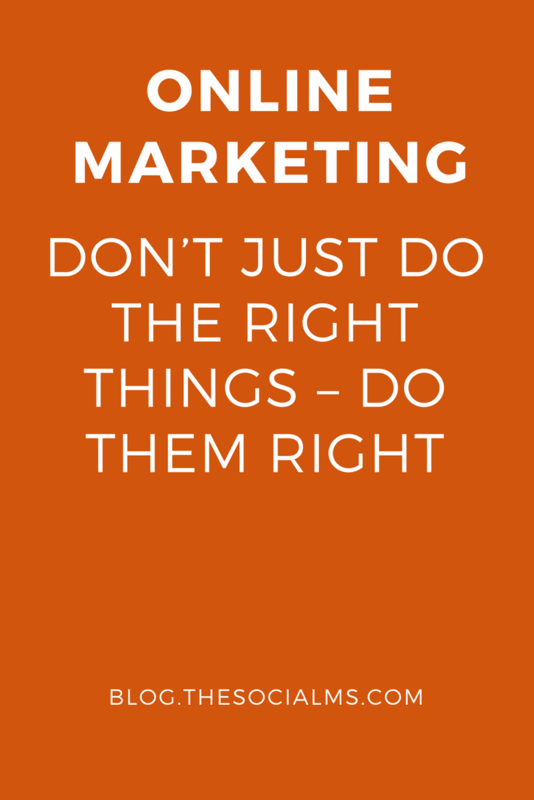 In truth marketing is about knowing the recipe for an example situation and then tweaking and adjusting it until it works for your special case. If online marketing would simply be following a recipe, everybody would successfully be doing it. I strongly doubt that there are marketers out there who excel at every single marketing method or concept right from the start. Most of the time people have a thorough knowledge of some concepts and basic knowledge in others. But what a good marketer knows is how to start out, measure success and adjust until it all falls into place. A good marketer knows how to start out, measure success and adjust until it all falls into place.